A variety of camps & excusions are available for students across a range of subjects and year levels. 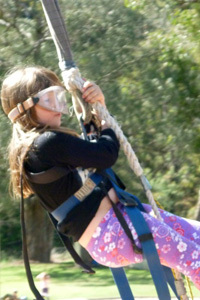 Click here to see a web gallery featuring school camps & excursions. The excursion programs begin with a sleep over at school for the preps, day trips to local areas and by the end of grade six students will have experienced a range of urban excursions and adventure activities. These camps provide exciting and challenging experiences for all students. Students participate in a surfing lesson at Cape Conran and a fantastic walk to Point Hicks’ sand dunes. Students are encouraged to work together as a team in planning the menus for the camps and working in cooking and cleaning groups for the duration of the camps. The camps emphasise local environments, local history and positive involvement. Students attend these camps over the two years they are in Year 7/8. 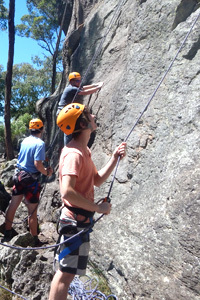 Bogong camp is a ski camp run by the Victorian Education department students stay at Bogong Village usually with two other schools the camp aims to introduce students to skiing, work cooperatively with other students and learn about the Alpine environment. Students attend these camps over the two years they are in Year 9/10. A variety of camps and excursions associated with specific subjects. Depending on the subjects being studied, different students will be involved in different camps, some of which include; a Melbourne excursion to art galleries, a variety of excursions to investigate different careers. A variety of camps and excursions associated with specific subjects. Depending on the subjects being studied, different students will be involved in different camps, some of which include a Melbourne excursion to art galleries and a number of outdoor activities. These include caving and rock climbing, skiing , and hiking in Ben Boyd and Croajingalong National Parks.